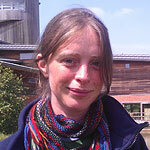 Liz started her career as a research assistant at WWT Caerlaverock in 1999 working on barnacle geese. She returned for another winter in 2004 and then joined present team mates Richard Hesketh and Richard Smith on a whooper swan expedition to Iceland in 2008. In between, she has worked for a variety of organisations both within the UK and overseas, typically on remote islands. Her main experience is with seabirds but has an interest in all wetland, coastal and marine species. 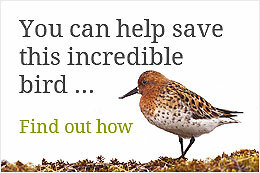 After finding a study by Birds Russia’s Dr Evgeny Syroechovskiy over 10 years ago, she captivated by spoon-billed sandpipers and eager to work with them. She has relevant fieldwork experience in nest finding, monitoring productivity and handling and measuring eggs and birds.